Please like our Facebook page or visit our website regularly for more news and special offers. 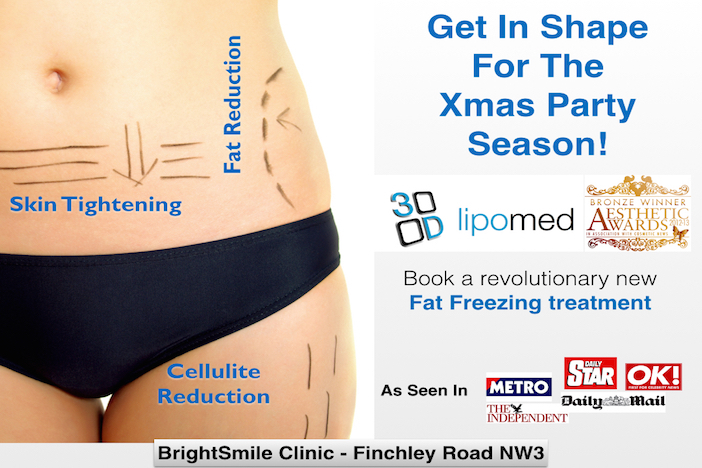 3D-Lipomed (3D Lipo) is probably one of the most advanced machines of its type and offers a powerful new dimension in NON-SURGICAL & targeted fat removal, treatment & reduction of cellulite, and skin tightening for both face and body, WITHOUT the need for any fitness programs and exercise. This NEW advanced machine is dedicated exclusively to the clinical market, and was nominated as finalist in the prestigious Medical Aesthetic Awards as brand of the year 2012-13. 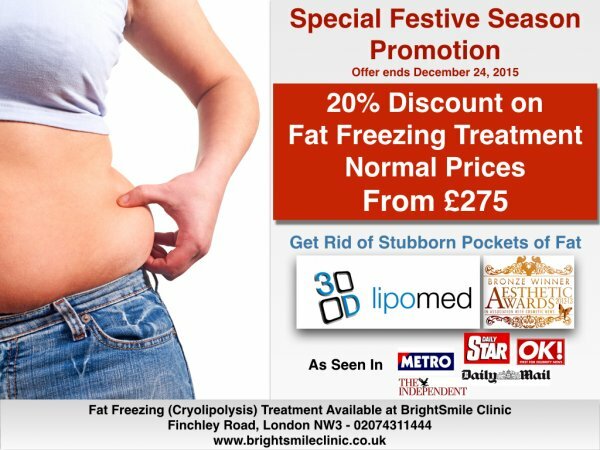 In addition to the benefits of standard 3D Lipo machine, 3D Lipomed also includes Duo Cryo & 3D Dermology RF with automated roller action. What this means for you is even more effective fat and cellulite reduction in less time! 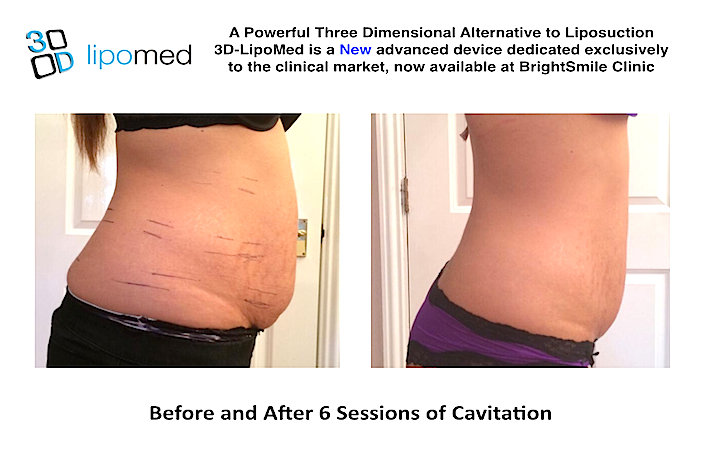 Please check our website, like our Facebook page, Google+, Twitter page, or like our Facebook page regularly for more news on 3D-LipoMed treatments, prices, and special offers. 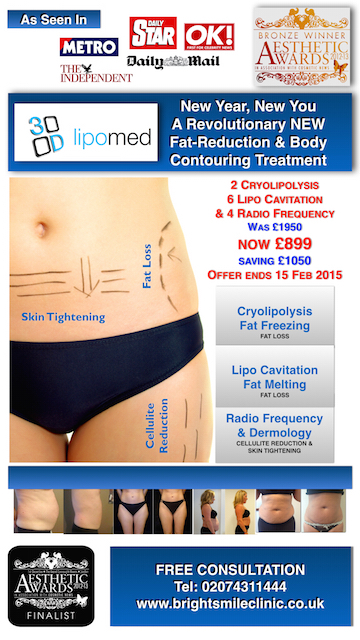 Cavitation (or Lipo Cavitation) is a natural phenomenon based on low frequency ultrasound. The Ultrasound produces a strong wave of pressure to fat cell membranes. A fat cell membrane cannot withstand this pressure and therefore disintegrates into a liquid state (fat melting). The result is natural fat loss. Typically you will need just 6 to 8 treatments, which are done at weekly intervals. You will see significant results after each session too so within 2 months you would have transformed your body! After disruption of cellular membrane the fat in the form of triglycerides is released into the interstitial space between the cells, where they are enzymatically metabolised to glycerol and free fatty acids. Water soluble glycerol is absorbed by the circulatory system and used as the energy source where as the insoluble free fatty acids are transported to the liver and processed as fatty acids from food.